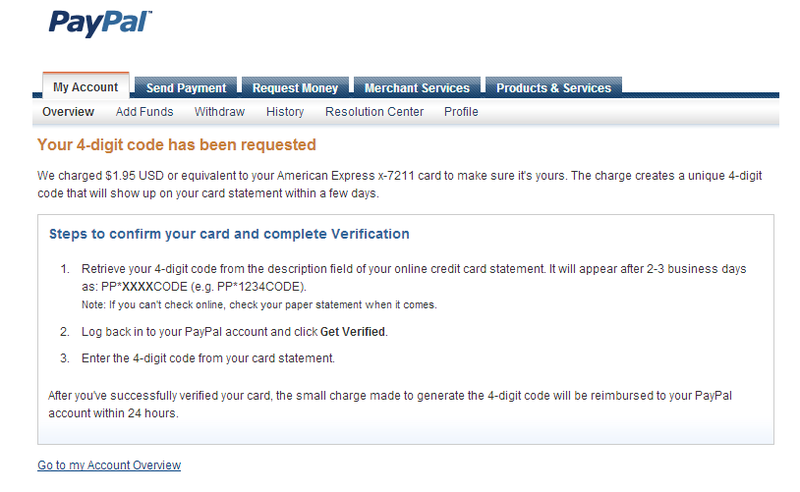 Last year, I told you guys that I wanted to verify my Paypal Account using GCASH American Express Virtual Card. After I got KYCed in GCASH (Know Your Customer), I actually immediately registered to GCASH Amex as it offered a few weeks of free trial. I thought it was enough but, unfortunately, Paypal rejected my virtual card and the system said that the card was already expired. What happened made me quite disappointed but I was determined to have my Paypal verified so when the time (and money) permitted, I renewed my GCASH Amex subscription for a year. It cost me 250php which was deducted from my GCASH account. After that, I just followed a few simple steps and waited for a couple of days to see the fruit of my labor. lols. Make sure that you already have a GCASH account and you're KYCed. Read my tutorial on how to register and verify a GCASH account here. Register to GCASH Amex here. Just carefully follow the steps and properly fill out all the forms and you're good to go. You may also register easily by dialing *143# on your phone, choose GCASH > Gcash Amex > Sign up. 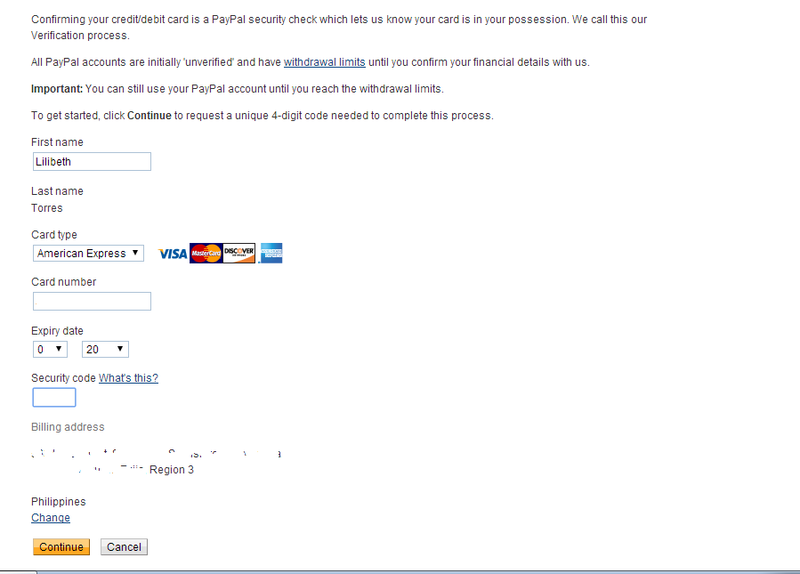 Go to Paypal's official website and log in to your account. 5. Fill the boxes out then click continue. You'll then be charged around $2 to verify that your account is active. This amount will be refunded once you completed the verification process. 8. Once you receive the code, log in to your Paypal account again and enter the code. Congratulations! You now have a verified Paypal account! Though there are other ways to do it, I find this one easier. Nakakadismaya. May mga salapi din ako sa Paypal na di ko ma-withdraw kasi magulo. May nagsasabing sa Mercury Drug daw, may pwedeng gamiting pang-withdraw, meron naman nagsasabi sa Unionbank. Meron na naman sa GCASH. Hehe. Hirap! Hi, Tanong lang... Nagagamit po ba ang Gcash Amex pang cash out from paypal? This is very helpful. I also have funds in my paypal account and my account is not verefied. Glad this one could help. Gonna register soon. Thanks again. You repeated the verification process for paypal after your gcash amex subscription was expired? Is that possible? No I didn't. I wasn't verified the first time I tried it because their system said the card I was trying to use was already expired. Ask ko lang, anong Billing address ng GCASH AMEX ang dpat kung gagamitin? ung US ADDRESS or ung Philippine ADDRESS? or both? Hindi ko magamit yung US Billing address na binigay ng globe gcash amex sa paypal. Hindi siya tinatanggap. Ano'ng pwede kong gawin? tanong lang pwede ba kasi nasa ph country yung paypal mp then us base naman yan gcash amex maveverify parin ba? thank you!! magandang idea to..:) tagal ko nang gusto maverified account ko..